African Carbon Energy have identified an opportunity for a conceptual study related to the poly-generation of electricity in combination and integrated with a prospective coal to liquids project. 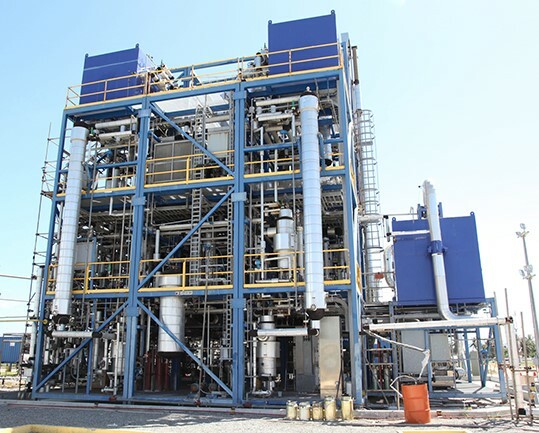 This Coal To Liquids (CtL) project will combine Africary’s proprietary and modular UCG syngas production system with Fischer Tropsch (FT) reactors in a new CtL facility. The UCGtL study has to ascertain the economic viability and the generation potential of an integrated approach and must produce approximately 2,000 barrels per day (“bpd”) [315 000 liter per day] of synthetic crude refined on site to produce mainly low sulphur diesel, petrol and jet fuel. Commercial Demonstration Plant delivered to Brazil site and commissioned in 2010.